This weekend we did our first bake in some time as we have been away or working on finishing our kitchen. We had a fantastic time baking bread again, I have missed it a lot. When I went to tidy the bakery this evening, I thought I would take a quick temperature reading of the hearth and it was around 200°C, something had to be done with this retained heat, so I decided to try my first Victoria Sponge in a wood fired oven. 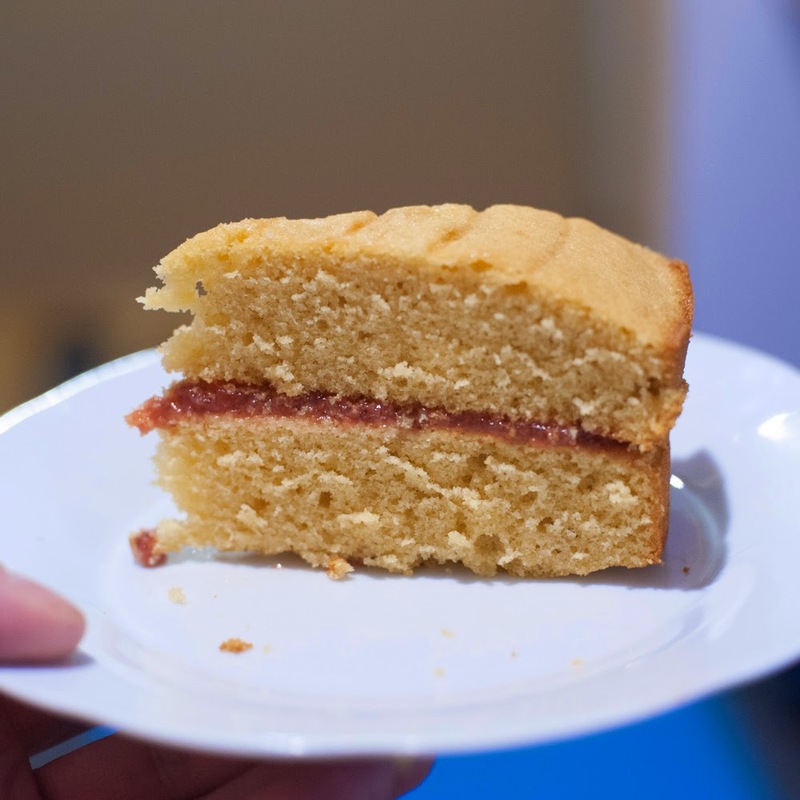 I'm no expert at baking cakes, but I am very pleased with the results, maybe the lightest, moistest sponge I have ever tasted (except my mothers!). With a bit more practice, I may start to offer a special order cake service. You can cook a big cake in this oven, 80 x 120 cm, if you had a tin big enough!